Flour Babies by Anne Fine. This one act play tells the story of an underachieving class and what happens when they are assigned a special science project. Ordinary Days is a one act musical set in New York, follows four characters, Claire, Jason, Warren and Deb, exploring how their ordinary lives connect in the most amazing ways. 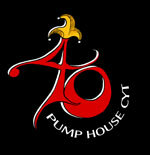 Pump House CYT is a volunteer run open access Youth drama group that has been going for over 40 years. Our aim is to provide young people of all backgrounds the opportunity to perform on stage. We strive to achieve the highest standards possible while keeping an enjoyable, learning environment. We do several productions a year including everything from mimes & improvisation through to large scale musicals. We have two sections – Children (8-14 years) and Youth section (14-25 years) that each meet once week (and more often for some production rehearsals). We regularly take part in local drama festivals, the National Theatre Connection festival and occasional we take productions to the Edinburgh Fringe Festival. We do not offer any exams or formal training but our members gain confidence and presentation skills that they take onto their future lives. However some of our past members have gone on to professional careers in acting, music and other media. For more information or to put your child on our waiting list please contact us.